Today's world is full of distraction, clutter and chaos that clouds our focus and robs us of tangible connections. Enjoy this edition of the Triumph ISO 4; a splatter melange upper represents noise while the brightly coloured midsole depicts clarity. Engineered mesh uppers will encase each foot in breathable comfort. 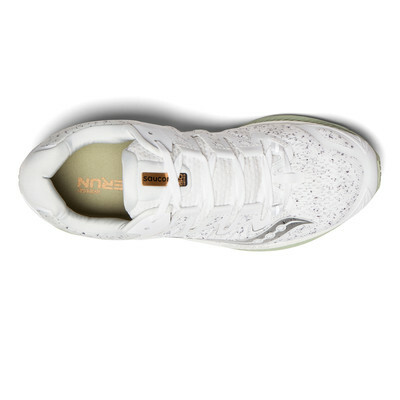 Perforations in the fabric increase airflow to create a better, healthier environment for your feet to thrive in. 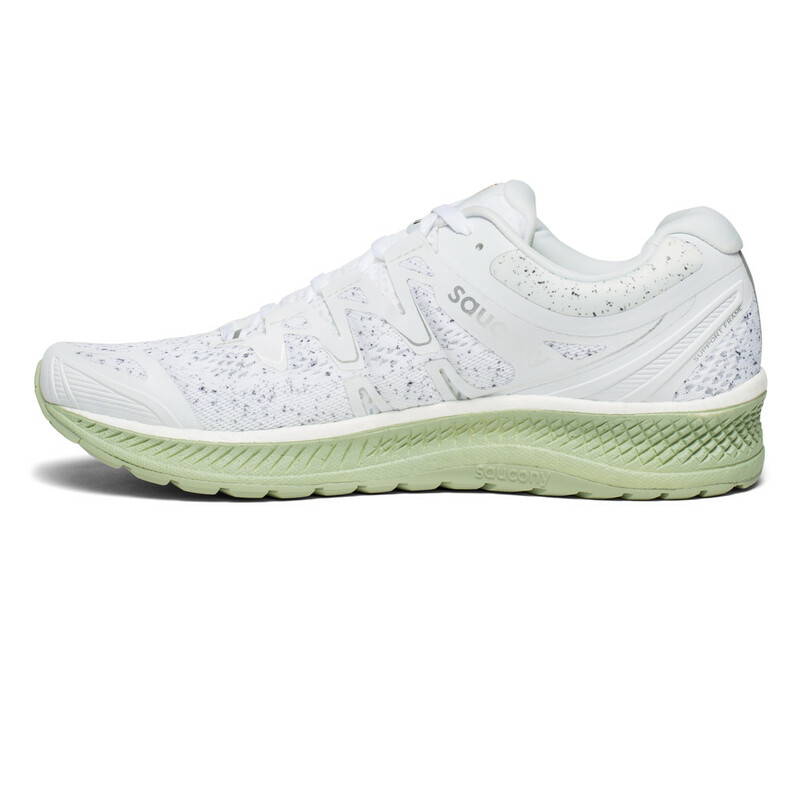 ISOFIT technology creates a dynamic fit system by adapting to the shape and motion of the runner's foot, eliminating millimetres of movement with each stride. An external heel counter unites with the lacing system to promote complete lockdown, anchoring you to the midsole and reducing in-shoe slippage so that you can enjoy smooth, distraction-free strides. A full-length platform of EVERUN sits between your foot and the ground, for the ultimate in soft landings and springy takeoffs. 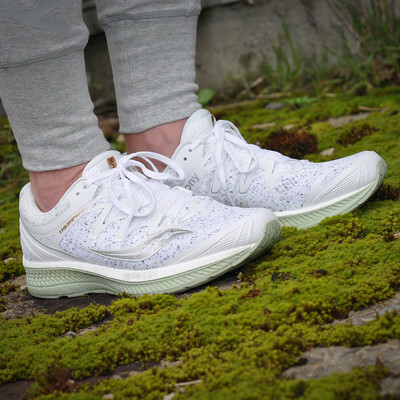 EVERUN is created by stream-fusing thousands of bouncy TPU beads; it yields 83% energy-return with a construction that is three times more durable but three times less temperature-sensitive than standard EVA. 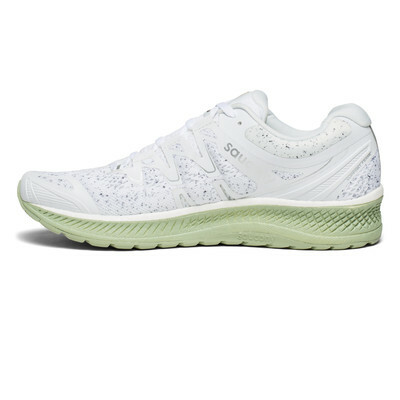 Supplementing an already-lively midsole, a layer of TPU foam (named an EVERUN Topsole) lies below the sockliner to help maintain impact protection. 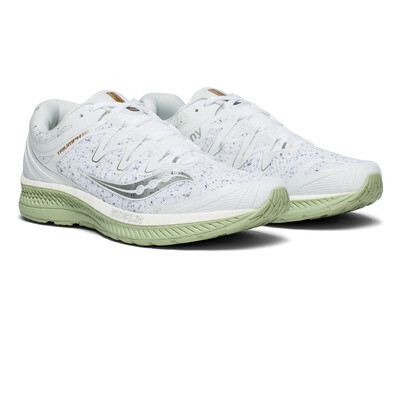 This plush, propriety construction means that resilient cushioning is brought closer to the foot and because the force is distributed over a larger surface area, peak pressures are lowered on each stride. This winning combination means your use of superfluous muscle power is reduced, diminishing fatigue and enhancing performance, keeping you motivated for longer. 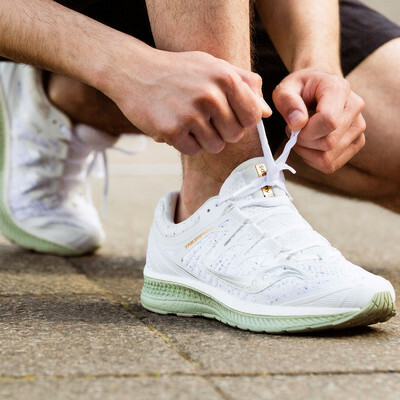 A Tri-Flex outsole completes the Triumph ISO 4. It works with the EVERUN topsole for increased force dispersion over a greater surface area while also delivering optimal flexibility and traction. 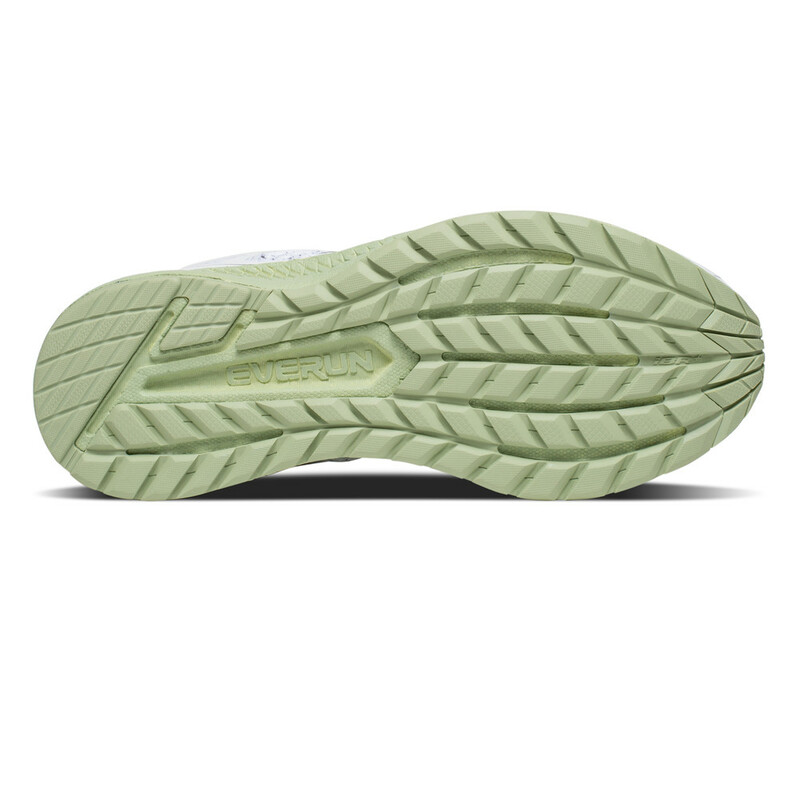 Made from IBR+ rubber, this outsole is 33% lighter and provides more cushioning compared to standard blown rubber. ISOFIT - Wraps around the foot for stability and comfort. External heel counter - Secures the rearfoot. 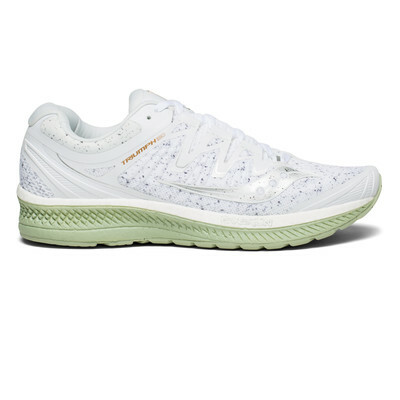 EVERUN midsole - Gives maximum energy-return and moderate cushioning. IBR+ rubber - 33% lighter and provides more cushioning compared to standard blown rubber. Heel height - 28 mm. Forefoot height - 20 mm.